"In many vintages, d'Escurac is an exceptional bargain." "Year in and year out, d'Escurac is a major over-achiever." "This is one of the best cru bourgeois in the Medoc and well-worth serious consideration." 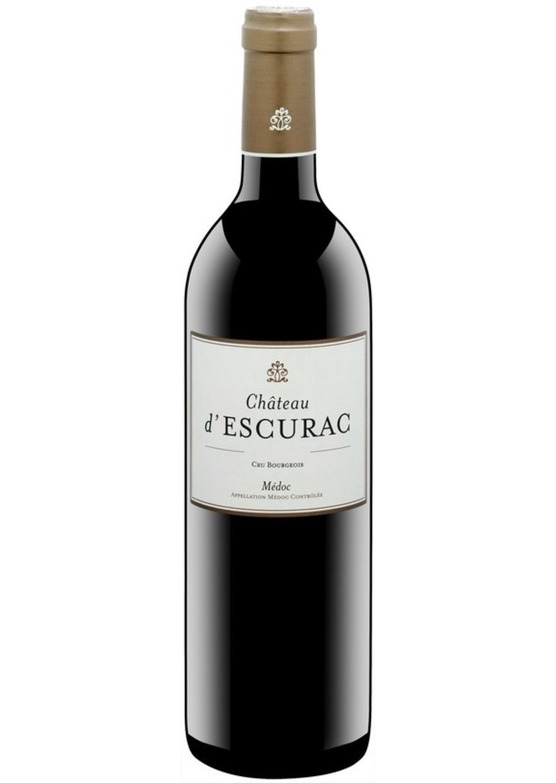 "D'Escurac, a consistently well-made cru bourgeois, should be sought out by shrewd consumers." "Over the last few years, this has become one of the most interesting Medoc cru bourgeois." "On the nose the wine was lifted, full and carried spice box, vanilla and toasty notes of evolved cassis and cream. There were also tertiary notes of leather and smoking embers... It was joyous... On the palate the wine, though completely mature, offered such open generosity and vibrancy that it left the entire team speechless. Such elegance and roundness allied to its' obvious age. " - Martin Wheatley, Mr.Wheeler.